On 15 October 2015, EARTO co-organised two events on the role of RTOs supporting Regional Smart Specialisation Strategies. In the morning, EARTO held its 1st session at the OPEN DAYS 2015 at the Committee of the Regions, co-hosted with ERRIN highlighting “How can regional Smart Specialisation Strategies support innovation ecosystems & value-chains?”. The event’s panel gathered Mr Markku Markkula, President of the Committee of the Regions, Mr Lambert van Nistelrooij, Member of the European Parliament, as well as Heads of Unit from DG Joint Research Centre (JRC), DG REGIO and DG CONNECT. A report will be published soon on the OPEN DAYS website. 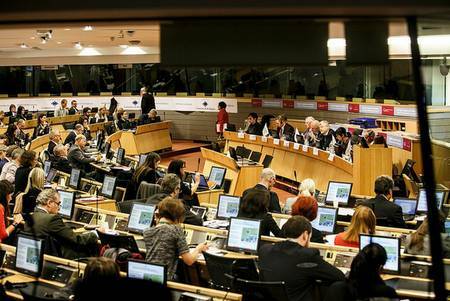 Following this high-level debate, EARTO and the JRC held a joint event at the Committee of the Regions to present the newly published JRC Policy Brief on RTOs and Smart Specialisation written by JRC IPTS Smart Specialisation Platform with inputs from the EARTO WG Structural Funds Experts (following our joint workshop last May). The JRC Policy Brief is a good tool to promote RTOs’ contribution to regional Smart Specialisation Strategies aiming at strengthening Regions-RTOs partnerships. We hope this report will support your discussions with regional authorities.